An in-depth look at two new regex flags (/y and /u), the ‘flags’ property, escape sequences, and more. An open source D3.js-based library that aims to reduce the need for tedious configuration through a DSL to describe how data and graphical components should map together. 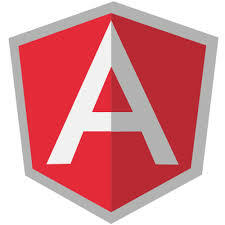 Angular lets you build dynamic, single-page web applications from scratch that are so smooth your users will forget they're still inside a web browser. Sign up online and start learning today! What's the Difference Between .call and .apply? “A for array and C for comma” is a handy mnemonic. Learn how to build a simple contacts manager application using Ember CLI from start to finish. It seems to work but it also seems to be slower overall (but the benefits of being async and not blocking the UI may be worth it). A one day, single-track, community-run Node conference in NYC. Now accepting submissions for talks. If you haven’t used the Babel ES6/7 to ES5 transpiler yet, this is a good intro. A quick overview about what popular tools do - and whether you need them or not. A C based library compiled to JS via Emscripten. A nice effect for switching text around. A generic, hardware independent, full-stack Internet of Things software platform.